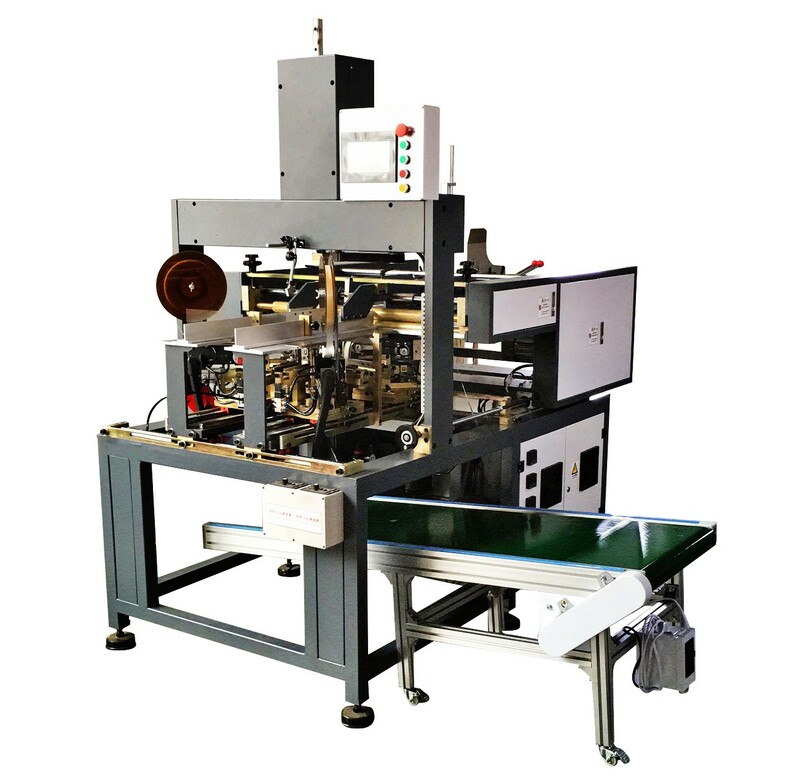 HM-S400 adopts PLC for controlling, servo for driving, touch screen for operation, stepper motor to feed tape. 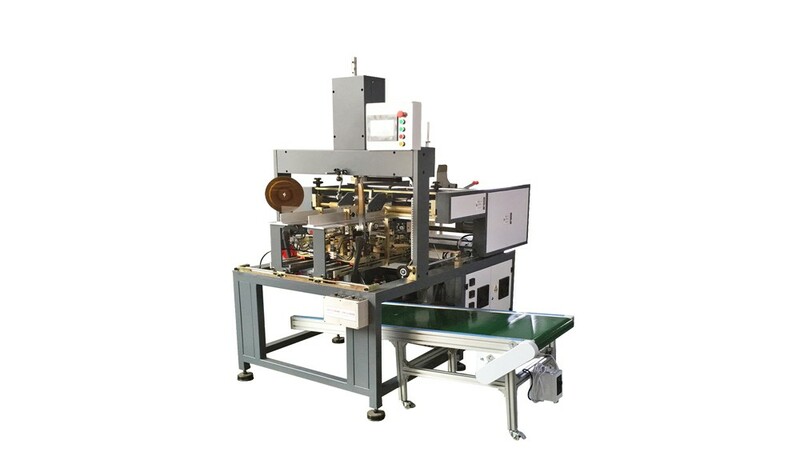 Thus, it is very stable, accurate and durable, makes it a very reasonable choice for rigid box manufacturers. 1. Driven by servo motor, and controlled by PLC. 2. Operated by touch screen, with both Chinese and English by one switch. 3. All electric parts are from famous brand, low error and high precision. 4. With malfunction alarm and fault display. 5. Boards are fed from bottom, thus no need to stop the machine for adding boards. 6. The mainshaft adopts servo motor to drive the gear guide rail, making sure every accurate movement. 7. 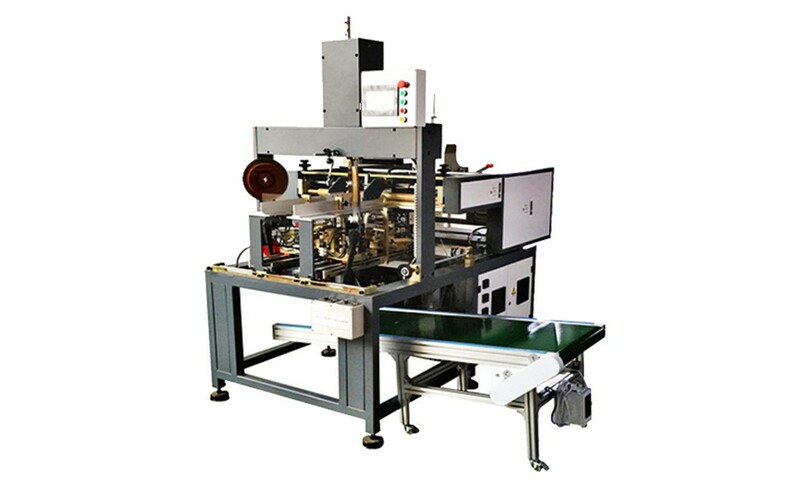 Stepper motors feed hot melt tapes which are pasted onto 4 corners at the same time.